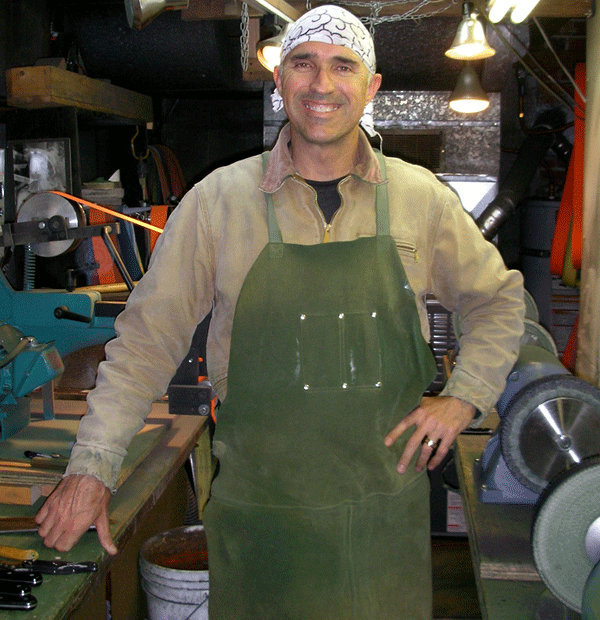 I’m thrilled to have the chance to interview Bob Tate, chief-cook-and-bottle-washer of one of my favorite sharpening services—Seattle Knife Sharpening Service. Bob consistently produces one of the sharpest edges you’ll ever feel on a knife and has built quite a following in a relatively short amount of time. (And he’s a one-man shop.) I think in this interview every home chef (or professional, for that matter) who cares about their kitchen knives and wants to keep them sharp will find some nuggets—and some surprises. Hey, Bob. Do you remember the first time you ever sharpened a knife? I believe it was when I was about 8 years old. It was an old folder that had 2 blades—one regular blade and one for scaling fish that had a hook disgorger at the end. I scraped it against the concrete curb in front of my house to sharpen it. It may not have worked, but it felt sharper. So from there, how did you get here, into the biz? I got into sharpening through my friend Bob Kramer. He sharpened my knives for about 15 years when I was cooking in restaurants. I left the restaurant world and sold real estate for about 5 years. We were friends by that time and I missed working with my hands in my real estate career and thought it would be fun to learn to sharpen. I worked with Bob for awhile, at the same time selling houses. It was kind of casual at the beginning but evolved into a career. When the housing bubble burst, I went full time with the sharpening. So you’ve been sharpening full-time how long roughly? Would you call Bob Kramer a mentor? Yes, I would. He taught me all I know about sharpening. When I cooked, all we had was an oil stone and however much I tried, I could not get my knife sharp. There was never anyone who I cooked with who really knew how to sharpen by hand either. I have to admit that I didn’t put a lot of energy into it, since I had Bob to take them to. I didn’t have much luck sharpening when I cooked, mostly because I didn’t have the proper tools and technique. Do you think being a serious cook helps at all with being a good sharpener? I think it helps mostly because you’re sharpening the tools you use every day. The most important quality for being good at anything, not just knife sharpening, is caring about what you do and learning how to do it from someone who is expert. I didn’t have much luck sharpening when I cooked, mostly because I didn’t have the proper tools and technique. Also because Bob was there to do it for me. It really takes an investment in time and the right stones, etc, to be able to do a good job. Here’s a knife designed by Bob Kramer (in collaboration with Henckels) that you can buy and enjoy without having to pay thousands of dollars. This model is made with a hard carbon-steel core sheathed in layers of softer stainless that are pounded into a wavy Damascus pattern. Don’t let it’s beauty fool you, it’s killer sharp and will keep its edge. Tell us about your sharpening process and technique. Your website says it’s 6–7 step process. Tell us as much as you can about these steps. My sharpening starts with re-cutting the bevel at the edge of the knife. This new bevel will vary in height based on the thickness of the knife and the thickness of the edge. A newer, thin Japanese knife will have a very small bevel cut, whereas a very dull, older, thicker European knife will need a bevel that extends further up the side of the knife in order to restore the original angle of the knife. After that I take the knife to a series of wheels to blend the bevel into the side of the knife to create a smooth transition that makes the knife glide through whatever it is you’re cutting. My understanding is that your technique of creating a completely new bevel, one smooth surface from the spine to the cutting edge, is not typical for sharpening services. With German-style knives especially, you’re in essence, redesigning the blade. Is this true? I am not redesigning the blade. I’m just blending the bevel into the side of the knife as best I can. It’s a bit different from a factory edge in that the bevel is now blended and not a distinct, secondary bevel. This is not easy to do, but makes for the most efficient and longest lasting cutting edge. If you happen to be in the market for a new chef knife, don’t miss my article Best Chef Knives — Six Recommendations. Why is it a 6- or 7-step process? I could see 3 or 4 steps, but 6 or 7 is a lot of steps! The steps I use are equivalent to using 6–7 grits of stones when sharpening a knife. The difference is I’m using 6–7 grits of belts and wheels to achieve the same result in a fraction of the time. It probably took me 2–3 years to get to where I was truly happy with the result of my sharpening. How long did it take you to master sharpening? Did you practice on inexpensive knives at first? Yes, I started with a lot of cheaper knives and knives that people would let me practice on. They all came out much better than they would have if they had taken them to the grocery store to have them sharpened for free. It probably took me 2–3 years to get to where I was truly happy with the result of my sharpening. Wow, 2–3 years! So is practice the main ingredient to achieving excellence—over, say, equipment? Focused practice and the proper tools are the key. Tiger Woods would still kick our asses with your granddad’s old clubs, but he would never win a tournament. It’s a brutal evolution because when you get good enough to get a knife thin enough to function at its best, it’s easy to go too far and make it too thin. The edge will then collapse, especially if it’s stainless. So then you must back off a bit. Finding the right balance is the key. (We’ll talk more about honing later on.) Is your sharpening technique/process still evolving any? It’s always evolving. I’m always trying new materials and techniques. Some work and some don’t, but you can’t get better if you don’t experiment a bit. The skills required to sharpen properly on machines are the same necessary to sharpen with stones. What can you achieve in your sharpening that somebody doing it for themselves at home cannot? A person with a whetstone can achieve the same thing as a person with machinery, but it will take a much longer time. The skills required to sharpen properly on machines are the same necessary to sharpen with stones. It really comes down to how much time you have. If I charged what I do to sharpen all knives by hand [without using machines], I’d starve within a month. Way back when, there were no machines, they still had big water wheels that did a lot of the work. The finishing was done on stones and strops. Also, the steel was different back then. There was no stainless which is the hardest thing to sharpen by hand, unless the knife is quite thin to begin with. 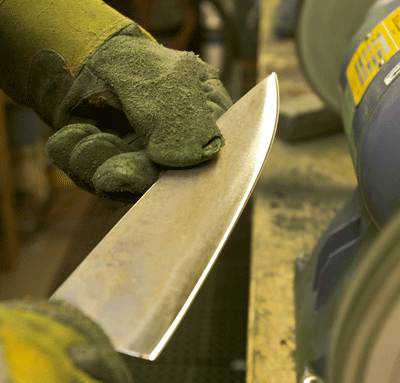 Why is stainless so difficult to sharpen by hand—more difficult than, say, high-carbon steel? It’s all the different alloys in the steel and the high quantity of chromium. All these alloys that make it stainless and durable also make it very hard to sharpen on stones. That, combined with the thickness of a lot of stainless knives. The Japanese are making stainless that is quite thin which makes it much easier for regular folks to sharpen themselves. Earlier on you talked about how when you get good at sharpening, the challenge becomes knowing how thin to make an edge. But what about when you’re first starting out, what’s the main challenge then? How do you know a knife is sharp as you want to get it? Do you do a standardized test? I pull my thumb and forefinger down from the spine to the edge to see if it’s uniform and then do a push slice through some newspaper. I used to shave some hair off my arm, but only do that with straight razors now. Why a push slice versus a pull slice? When I say push, I mean using just one section of the knife to cut as opposed to slicing with the whole length of the knife edge. It is much easier if you slice using the whole edge starting at the heel and finishing at the tip. Ahhh. . .so a push cut, or a partial cut, is a tougher test. Come back for Part Two of KKG’s Interview with a Sharpening Service, when we finish up the topic of sharpening and then move on to honing/steeling and cutting boards. If any readers have any questions or feedback or just want to blab, make sure to leave a comment at the bottom of this page or visit the KitchenKnifeGuru Facebook page which is open 24/7. 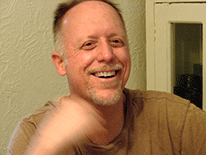 Feel free to check out Bob Tate’s website at Seattle Knife Sharpening, and if you’re curious to read how Bob stacks up in my original review of knife sharpening services (along with three other top-notch services), see my article Reviews of Professional Knife Sharpening Services. See you in Part Two!